In March of 2011, a college student named Hannah Hart uploaded a video to her YouTube channel in which she attempts to cook grilled cheese while drinking wine and providing witty commentary--and without any cheese. By 2014, My Drunk Kitchen had reached over a million subscribers, while Hannah herself has become one of the most prominent YouTube personalities, and has collaborated with countless other YouTubers on video and charity projects, brought several celebrities onto her own channel (including chef Jamie Oliver, actress/writer Felicia Day, and novelist John Green), and even co-wrote/produced and starred in an independent film. So naturally the next logical step is to publish a book. 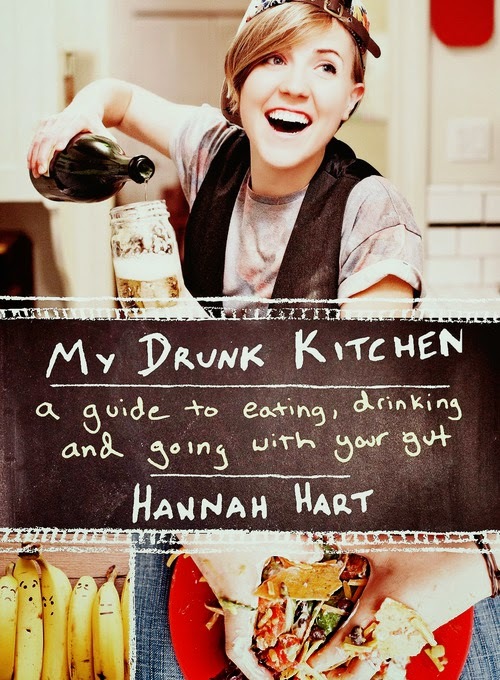 My Drunk Kitchen: A Guide to Eating, Drinking, and Going With Your Gut is an insightful and humorous cross between a cookbook and a self-help book in which Hannah offers both recipes and life advice in a comic, sarcastic, and only slightly self-depreciative writing style--with plenty of drink pairings to go along. 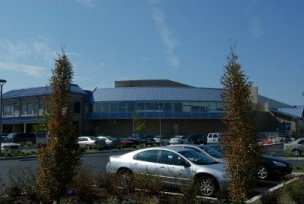 The recipes included range from three step PB&J instructions (the third step being to add potato chips), to the detailed and complex instructions of assembling "The Hartwich" (a gourmet-level sandwich with ground turkey instead of bread), to the necessary ingredients for pulling yourself out of a downward depression spiral. ...It really covers all the basics. Among the recipes and the awesome photography, you will find anecdotes offering advice on how to get over failed relationships (and how to get yourself out of a bad one), detailed explanations about alcohol’s effect on the human body (and why you should always have potatoes on hand), and even advice to those debating on coming out to friends and family (and how to make the decision that is best for their own well-being). There’s even a section on dealing with holiday stress, family gatherings, and how to cope with being asked to cook when faced with serving family members whose cooking is better than yours--a section that I find very comforting during this week leading up to Thanksgiving. I read this book during a very stressful time in my life and was able to connect to a lot of its subject matter on a very personal level--both because I find myself still relying on the “broke college student shopping list” (instant ramen, peanut butter, and whatever produce is on sale), and because of the anecdotes involving personal realisations during the “quarter-life crisis” time of life. Being no stranger to the YouTube scene, and to Hannah’s channel in particular, I had been eagerly awaiting the publication of this book since she first announced she was writing it. And I was not disappointed, as it has quickly become one of my favourite books to turn to when in an emotional crash--or when I just want to know how to make nachos out of saltine crackers and martini olives. My Drunk Kitchen: A Guide to Eating, Drinking, and Going With Your Gut was published in August 2014, and will be added to the library collection soon. You can put yourself on the waiting list here.